If you encounter any difficulty with chat functionality, need additional assistance, or have a question outside library hours, please email us at library@logan.edu. When is a librarian online? Instant messaging and SMS hours are the same as the library hours. If the librarian is "away," then she has stepped away from the desk for a few moments and will return shortly. Who monitors the library chat? Library faculty and staff monitor the incoming chat questions. We do not outsource to other libraries. 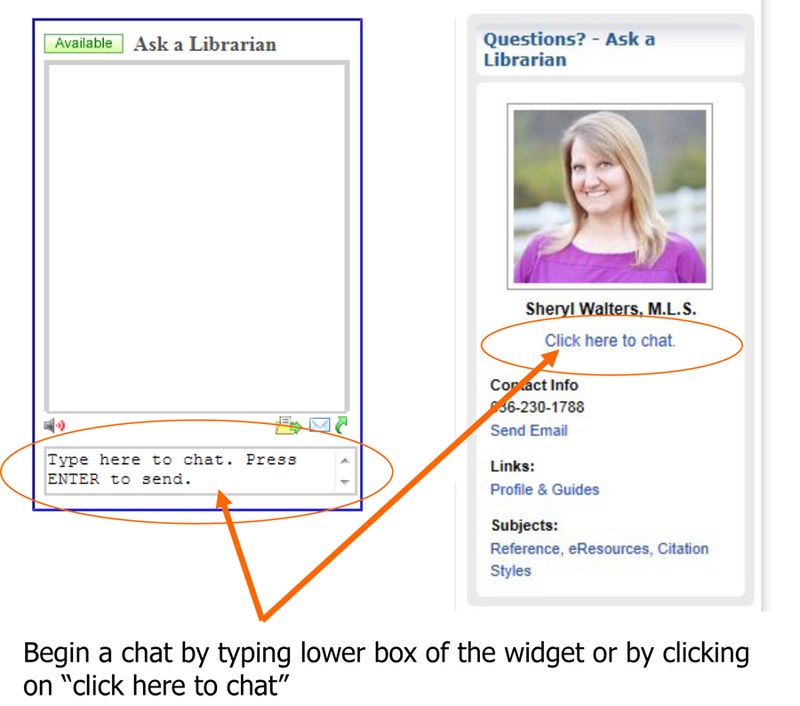 If you are chatting from a research guide (such as this page), you may not be chatting with the person pictured on the guide, but another library staff member. Where can I find the chat box? Where is the chat box? I do not see it on my screen. If no one is logged into chat, you will not see the chat box. Please email us your question instead. 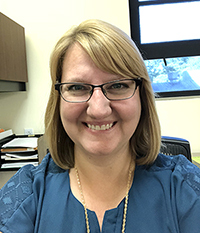 You can ask us anything library related, such as what are library hours, how to renew your items, send a request for articles, database and eResources help, and much more. I accidentally closed the window that had the chat box and now my message is gone. How do I get it back? Once you close the window, your original message is gone. Simply restart the conversation in the new window and we will respond again. I sent a message and no one has responded, what should I do? If we have not responded within a couple of minutes, something may be wrong with the chat service. Please email us at library@logan.edu. 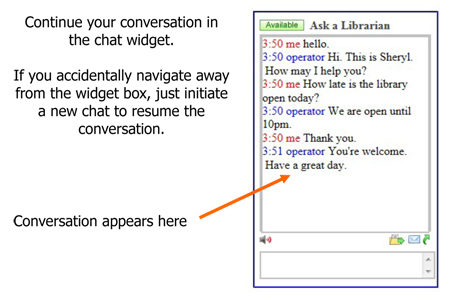 Below are instructions on how to use the instant messaging chat box. To send us an instant message, click in the conversation box or "Click here to chat" depending on which is displayed on the help page. Enter your text and then hit enter when you are done to send the message.